The ultimate beginner's guide to zero waste from getting to started to reducing waste in your home, including habits shifts, product recommendations, and advice on staying low waste while you're on the move. 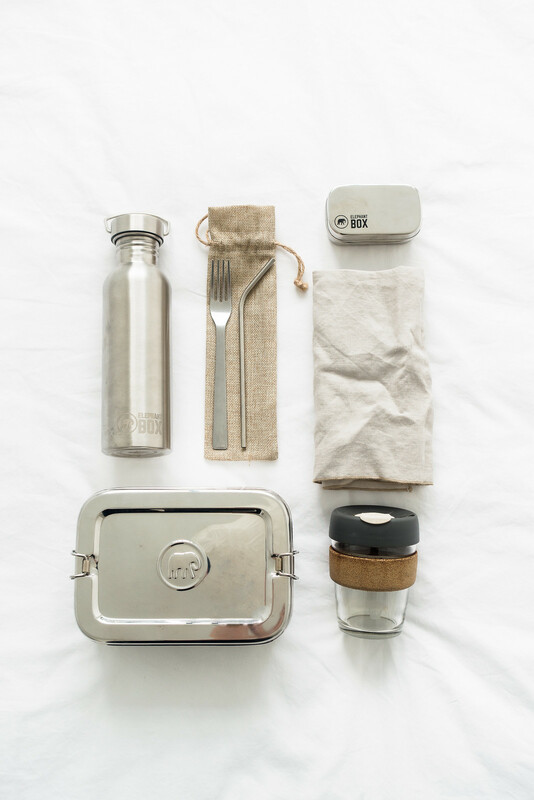 'Zero waste' became a lifestyle movement in the early 2000s when individuals took the personal responsibility of avoiding, reducing, and eliminating waste from their home and their habits. The term itself was never intended for personal use and reaching zero waste is not an achievable goal; generating no waste at all simply isn't possible but the term has stuck. Zero waste is about lessening our impact through being mindful of our consumption and the waste it causes. The goal is to reduce and eliminate waste, as far as is possible and practicable. The best place to get started is to look at your daily habits and try to change the ones that generate the most waste. The three major waste producing habits for everyone are: what we buy, what we eat, and how we travel. Tackle these habits and you'll have the biggest impact, everything else, from saying "no" to straws and purchasing a reusable coffee cup, is a bonus. The less we buy, the less we own, and the less waste we cause. That can be applied to everything we purchase from the food we eat, the clothes we wear, and the appliances or furniture we use. We often believe a lot of what we own are necessities when really they are just habits we've grown used to. It does well to remember the old adage: “use it up, wear it out, make it do, or do without.” Simplify your life, reduce what you buy, streamline what you bring into your home, and use up what you have. Our eating habits can have the biggest impact on the planet. If we care about climate change, we have to do something about our diet. Eliminating meat and dairy from your diet is the single biggest way you can reduce your environmental impact. It might feel like an impossible task to "give up" the foods you've become so attached to but you're not giving them up, you're just making switches. Find alternative options for staple ingredients like trying different plant-based milks to find one you like and swapping butter for a plant-based margarine. Lots of the food you already eat is accidentally vegan anyway. Invest in a couple of cookbooks, learn how to 'veganise' your favourite dishes, and make eating plant-based meals a regular habit. The need to travel is often unavoidable but opting for more Earth-friendly solutions can help reduce our environmental impact. Wherever possible, choose to carpool with friends or coworkers, use public transport, ride a bike or walk; limit long distance travel, avoid unnecessary flights and stopovers, and take fewer longer trips rather than shorter more frequent ones. You can also offset your carbon footprint to help repair the damage caused by travel. 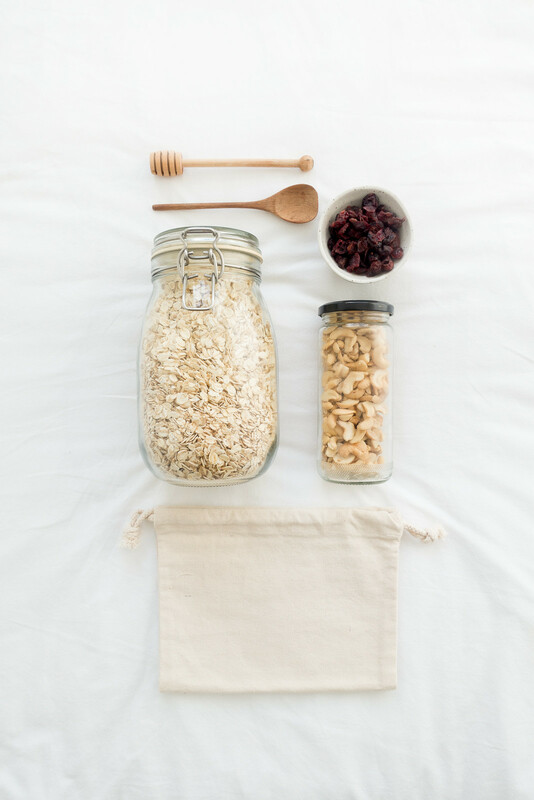 Living a zero waste lifestyle means looking at your habits, identifying what causes waste, and making gradual changes to reduce that waste and replacing them with more sustainable habits. Always use what you have before buying anything new, and remember: creating a zero waste household doesn't happen overnight. Replace commonly used items, like paper towels and cling film, with items that can be reused, recycled, or composted. Look out for products packaged in glass that can be reused, or cardboard and paper that can be recycled or composted. Things that are convenient to use are often the most wasteful, like cling film and paper towels. Find alternatives to these items and you'll drastically reduce your waste. Lots of pre-prepared convenience foods come packaged in plastic that can't be recycled. Even if you don't eat ready meals, things like snacks and treats cause a lot of waste. Learn to cook basic staples and meals from scratch to avoid relying on processed packaged foods. My low waste plant-based cookbook will help you switch store-bought, plastic-wrapped products for homemade ones. Learn a few habits to help reduce food waste such as buying less and shopping more often, and learning how to store food correctly so it lasts longer. Eat leftovers, repurpose scraps, and freeze anything you can't eat before it goes off. Composting is the most important thing you can do to reduce the amount of trash you produce in the kitchen; set up a compost bin, if you can. Not only is it difficult to find meat and dairy packaging-free, it's also the single biggest way you can reduce your impact on the planet. Start by introducing meat-free meals couple of times a week, and increase it over time. Make simple switches to your diet, like choosing a plant-based milk over cow's milk, and stock your pantry with plant-based staples. The bathroom can be one of the hardest places to make zero waste. Most common necessities come wrapped in plastic packaging that often cannot be recycled or even reused. The most effective way to make your bathroom low waste is to reduce what you buy and only use what you need. Follow this guide to making your bathroom zero waste packed with product recommendations. Toilet Paper. An easy switch to make is to purchase eco-friendly toilet paper like Who Gives A Crap or to install a bidet, which is more hygienic, cuts down on paper use, and saves you money. Deodorant. Natural deodorants are hit and miss, finding one that works can take a while. A few options include: crystal deodorant, LUSH deodorant, Nuud deodorant, or you could make your own. Body Wash and Shaving Foam. Bar soap is one of the easiest switches you can make in your bathroom, it lasts longer and is easy to find packaging-free. Bar soap can be used as a hand and body wash as well as shaving foam. Try Soap Daze, Friendly Soap, and Ravenscourt Apothecary. Makeup, Skincare, and Hair Care. Very few brands offer products in refillable or compostable packaging. The best way to make your makeup routine low waste is to either stop wearing makeup or reduce what you wear to a minimum. There are a few options for low waste skincare and hair care. The best option is to purchase these from your local bulk store, purchase products like shampoo and conditioner in large bottles, or go the DIY route. Menstrual Products. Disposable feminine hygiene products produce a lot of plastic waste and have the potential to be harmful to our bodies. Alternatives are available including menstrual cups, eco-friendly tampons and pads, and washable pads. Dental Hygiene. There are quite a few options for zero waste dental care including bamboo toothbrushes, tooth powders, and floss. Be wary of causing damage to your teeth though. Sticking with an electric toothbrush and generic toothpaste can avoid you requiring dental treatment caused by less effective products. There are two main ways to reduce the waste caused by household chores: limit the amount of products you use to clean and reduce the number of laundry loads you do each week. Break the habit of wearing clothes once and washing them; if your clothes aren't dirty, wear them more than once. It's marketing that tells us we need countless different products to clean different rooms, and we really don't. An all purpose sanitizer and a few common ingredients will do the job. 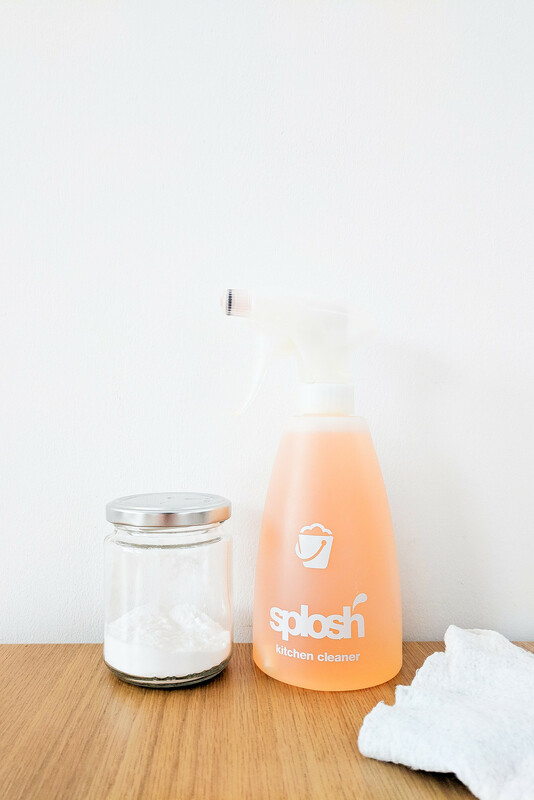 For all of these products, from laundry detergent to floor cleaner, if you're unable to buy from a bulk store; buy the largest quantity you can to reduce waste or sign-up for a refillable delivery service, like Splosh. Ethical Superstore offers a range of laundry supplies and cleaning products. Cleaning Products. Splosh has scented and unscented cleaners including kitchen and bathroom sprays, floor cleaners, and toilet bowl cleaners. However, you don't need separate products to clean; an all-purpose sanitiser, like this BioD one, will clean every room and surface in your home. For stubborn stains and dirt, bicarbonate of soda can be mixed into various effective DIY cleaning products. Laundry Products. You can purchase 15L and 5L bottles of liquid laundry detergent from Ethical Superstore, as well as laundry bleach. Alternatively you could sign-up with Splosh who offer refillable laundry detergent, laundry powder, and stain remover. The bedroom is a relatively easy place to make zero waste, and one of the best places to start. The focus should be on using what you have and making it last. Bedding. 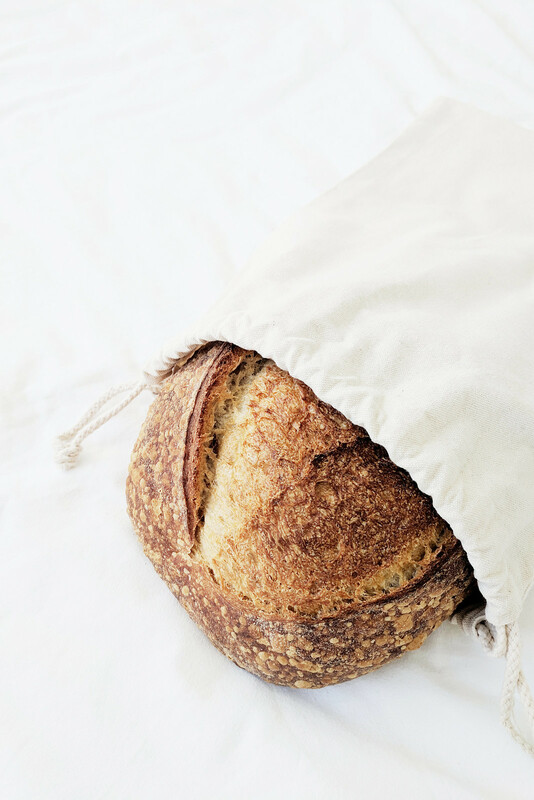 Choose natural materials like cotton and linen when looking for bed sheets, and look out for eco-friendly options for your pillows and duvet. The Bamboo Pillow has memory foam pillows and duvet toppers; The Fine Bedding company has sustainable pillows and an ethical duvet. Wardrobe. Simplify your wardrobe; shop less and wear what you already own. Fast fashion is a huge contributor to environmental damage and the way we shop plays a role in the impact that has. Change your shopping habits to build an all-seasons wardrobe of clothes you can wear all year, and repair things when they break. 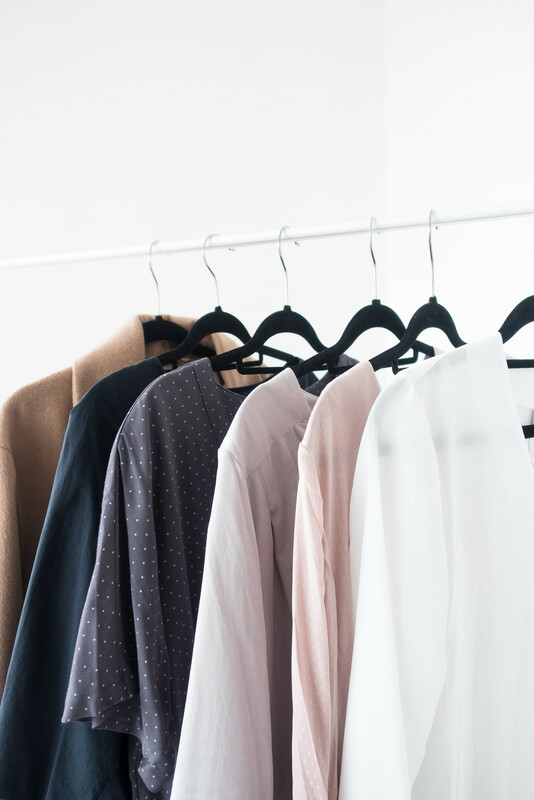 Get started with a minimal wardrobe and browse the sustainable fashion brand directory. 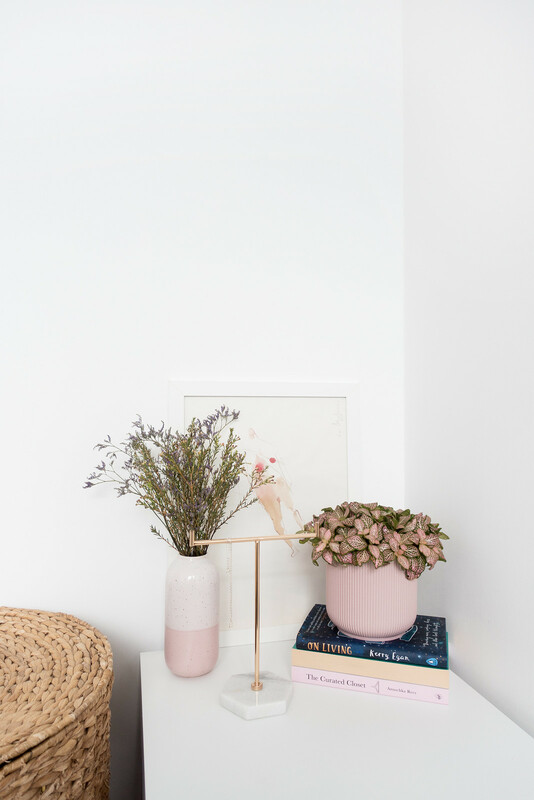 Decorating a home is important for making it feel like our own space; to make it feel welcoming and inviting, it's likely we'll want to invest in furniture and homewares, things that make us feel relaxed and content. When i comes to making your living space low waste, it's important to focus on making considered purchases. Homewares. If you need something new for your home, shop at stores that offer sustainable and ethical products. Shopping online is often more environmentally friendly than driving to the shops and shopping in-person. Want to know the best places to shop? Take a look at the sustainable homewares directory. Fragrance. A diffuser with essential oils is an excellent way to fragrance your home in a low waste, environmentally-friendly way. 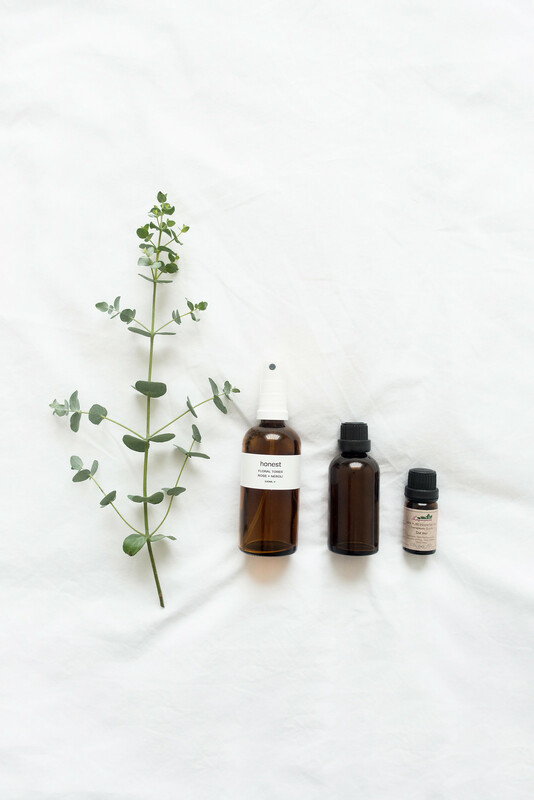 A small bottle of essential oil is powerful and can last a long time, the oils can be used in various different ways around your home. Check for local bulk stores nearby and make use of them along with any local markets. Take your own containers and produce bags to pick up fresh food, packaging-free. If there are no bulk stores or markets near you, there is still a way to shop zero waste in supermarkets. 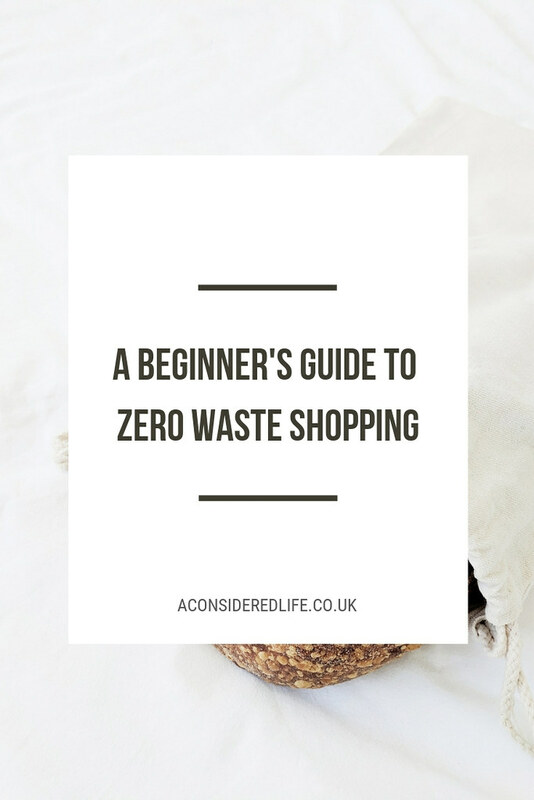 Follow this guide to shopping zero waste. Make use of digital streaming services instead of purchasing physical copies of films or games. Download eBooks, borrow from your library, or listen to audiobooks instead of purchasing paperbacks every time you want to read something new. Make the most of outdoor activities that don't require purchases or produce waste. Visit museums and galleries, and opt for digital tickets when it comes to booking to see performances or screenings. If you're able to, pack your own snacks in containers and bring a reusable water bottle or cup for drinks. Wherever possible, eat at restaurants that serve on real plates with washable napkins and cutlery. If you're eating at a street food vendor, bring your own lunch box or tin, cutlery, and napkin to avoid the waste of disposable plates. You don't need to buy a special set of cutlery; bring what you already have from home. Keep a set of cutlery including knife, fork, spoon, chopsticks, straw, and napkin in a pouch so you can take it with you. Use a water bottle or reusable coffee cup and have your drink served in them to avoid the waste of plastic cups. This is how you can stay zero waste on the go. Do you have any questions about going zero waste? Leave your questions in the comments and I'll answer them!